Creating info products can do a lot for a business – build a brand, establish authority, and create a cash flow that generates revenue while sleeping. But too often, we find ourselves attempting to create info products and getting lost in the logistics of the process. Below I am going to share with you 8 steps to creating your own info products. This 8-step formula can be applied to any type of info product and when applied properly, can take your business to the next level. The first step to creating your own info products is to see what else is out there! Invest in other people’s info products and start doing research. Other people’s products will give you insight on how they set up their info product, how their process works, and ultimately give you an edge when creating your info product. Once you have invested in info products, you will quickly realize what you like and don’t like for your info product. This first step is crucial because it can give you a concrete foundation for your info product creation process. When choosing a topic or focus point for your info product, you want to perfect what you learn. For example, if you buy a product and it’s on lead generation, master that skill and become good at it! This gives you the authority to create products about lead generation and share your strategies with others. You can do this with any topic of choice! 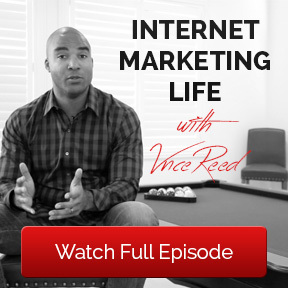 Click HERE and I’ll show you two strategies I’ve perfected and how I leverage what I learn. If you want to take it to the next level, share your result or strategy with someone on your team. Have them get a result and this will drastically improve your ability to sell your product! 3: What Problem Do You Want To Solve? Most of the time people purchase an info product to solve a problem they have. So when creating your info product, you want to solve a problem you have! If you solve a problem you have with your info product, there is a high chance someone else is going to relate to that problem and want to purchase your product! Once you figure out what problem you want to solve, this will give you a topic or idea to create your own product. Now that you have your topic for your info product, the next step is to map out each module of your course. Start with the problems you want to solve, then begin to break them down into their simplest form and create modules. Modules give you the ability to dive into extreme detail. The more value provided, the happier your future customers will be! After you map out each module, the next step is to create the actual powerpoint slides you are going to use for your info product. Powerpoint/Keynote slides are extremely effective and give you the ability to explain and share the value of what you’re teaching inside of your info product. Now that your slides are created and modules are set in place, it’s time to record audio over your powerpoint slides! This is the bulk of the info product creation process. You’re simply going to talk over your slides. If you want to show yourself, feel free! There is technology out there like ScreenFlow (Mac Only) that allow you to do this. Recording yourself can be strenuous. Make sure you are full of energy and animated when recording your voice. The last thing you want to do is put your future customers to sleep! This is the part where people get stuck! Everyone isn’t a “techie” and this step is the most technical part of the process. Once your info product is created, don’t worry about getting it on a website or creating the checkout process – outsource that! Leverage websites like elance.com, odesk.com, or fiverr.com to get your product put together and functioning properly. They will take care of the completion process for you so you don’t have to worry about it. Once the completion process is complete, release your new info product! Post on social media, invite members of your team, and send your new product out to your email list if you have one. If you have none of the above, I recommend leveraging search traffic for your info product. Click HERE and I’ll share a strategy with you. Now you can give yourself a pat on the back because after you release your info product, you have successfully completed all 8 steps! Rinse and repeat for all future info products. If you got value from 8 Steps To Creating Your Own Info Products please comment below! If you’re like me, I used to struggle generating revenue in my Home Business. I would try multiple things – some would work, some wouldn’t work. Regardless of the outcome, nothing I tried made a big enough revenue impact for my Home Business. Once I discovered these 4 steps, everything changed. I was generating more revenue than I could even imagine! Below are 4 steps to generating more revenue in your Home Business. Combining these 4 steps with consistency, your Home Business can instantly become a cash cow! The first step to generating revenue in your Home Business is list building. List building, most commonly associated with emails, is the idea of creating a list of people/leads that are interested in your products or services that you can market to on a regular basis. List building doesn’t have to be hundreds of leads a day. Building your list with 5-10 leads a day can be effective as long as leads are targeted and you’re positioned to provide value to your list each and every day. In order to generate revenue in your Home Business, you have to start talking and communicating with the right people! You want to talk to people who NEED what you have to offer. This will make generating revenue much easier because now you can deliver content that provides solutions for the problems your TARGETED list is facing. Nothing worse than finding yourself in a situation trying to sell coffee to a bunch of tea drinkers! Stay targeted and you will avoid this issue. Click HERE and I’ll share 1 simple method to boost your sales and keep your list as targeted as possible. Content is king! Without quality content it will be extremely difficult to generate revenue in your Home Business. I consider quality content to be content that solves problems and points the reader in the direction to eliminate the problem. Quality content will provide authority to your brand/Home Business and keep your targeted list responsive. You can’t expect to generate revenue by building a list and never communicating with it! If you’re struggling to create content or simply don’t know what type of content to create, I recommend learning a new skill or checking out a quick training on how to give away free value by clicking HERE. Believe it or not, marketers do all the above – list build, target, and deliver quality content – but forget to make strategic offers! Offers should enhance what it is your customers are already going to do. Here’s an example: Let’s say I was in a Home Business and I was struggling to generate leads. I would find a method or product that helps generate leads and implement it. So now if I come across someone with the same issue, I can offer the struggling marketer that same product which enhances their ability to build their business. If you focus on targeted list building, creating quality content with purpose, and make strategic offers, you will be on the path the generating unlimited amounts of revenue for your Home Business! Did you get value from 4 Steps To Generating Revenue In Your Home Business? If so, please comment below and share your thoughts! If you are in the home business industry you should know that there will be ups and downs. The truth is there are going to be ups and downs in any business. The key is to learn how to pick yourself up when you fall and learn from your failures. If you want to have success in your business it is important to mirror those who have had success. Since 2008 I have been full time in this industry and have seen a lot… not it all, but a lot. I have also had my share of failures. That is why in this post I will reveal 5 reasons that your home business may be failing. I hope you find value in these tips. Be sure to use them as they will help you take your business to the next level. The first reason your Home Business could be failing is no one sees it! In order to make sales, people need to know your products or services exist. This is a direct result from lack of traffic and eyeballs on your offers. Oddly enough, most people understand they need more traffic but don’t do anything about it. This principle is true for not only home business, but also any other business that exists. If no one sees your business or knows it exists, you will not make money. In order to be successful in Home Business, you have to believe in Home Business first. There’s a chance when you got started you saw the possibility to make money, but deep down in your core you didn’t believe in it. Typically, this is caused by not having a clear direction on how to grow your Home Business. For example, if you knew how to take your business to $1 million dollars, I’m sure you would believe in it and teach others how to do the same. So trust in yourself and the Home Business industry that it IS possible to make money and be successful. It’s up to you to find that path and figure it out! When people get started with Home Business they join a company, start to pay autoship, begin to sell products, and tell a few people about it. Then they fall for the wait and see trap! After telling a few people and zero sales come in, they start to sit around and convince themselves it’s the companies fault they aren’t making money. All of a sudden Home Business is a ‘scam’ and ‘didn’t work’. In reality, they just wanted to wait and see if the business would somehow become successful. The Wait and See Mentality can’t happen in business. If Mark Zuckerberg decided to ‘Wait and See’ with Facebook, he most likely wouldn’t be the CEO or someone else would have created it before him! Click HERE and I’ll help escape this mentality and out you on the roadmap to a 7 figure business. Almost every answer was ‘have a mentor’. For whatever reason, people come into the Home Business Industry wanting to make a lot of money but never have done it before. They think they can just figure it out and that’s not the case. You want to learn from people who have done it before! This last reason might throw you for a loop, but maybe failing is actually you learning? I call this ‘learning mode’. Failing doesn’t mean anything other than whatever you’re doing isn’t quite working the way you want. You have to learn from failure because you’re either going to quit or be successful. Failure is something all Home Business owners face along their journey. You may just be in learning mode, but you have to identify it. If you’re failing and not taking action or doing anything, you’re not in learning mode. If you’re trying certain things and failing, that’s good! Learn from them, make them your own, and now you have something to teach others what not to do. Make sure people see your business, you must believe in it, don’t have a wait and see mentality, find a mentor, and figure out if you’re in learning mode. These are 5 potential reasons your Home Business is failing. If you got value from Below are 5 Reasons Your Home Business Is Failing please comment below! Chances are if you are a home business owner and have used Facebook to promote or market your business using a fanpage you may have experienced a lower reach on all of your status updates. A lower reach means less of your fans and friends are seeing your posts! This has caused a lot of online marketers to lose faith in using a fan-page and in some cases has call many marketers to stop advertising on Facebook period. This post and the video above is designed to help you better understand how Facebook works and to assure you that fans and fan-pages specifically are worth your time and effort. In this video I break down 5 important questions and issues that you may have when it comes to organic reach on Facebook. Organic reach is your ability to post an update on Facebook and have it show organically to all your fans and friends. Why Facebook Organic Reach Is Declining? Why Not Just Show All Post? Facebook’s main concern is showing you post that are the most relevant to you. If Facebook showed every update that every person posted you would see less of the things your are interested in and more of the things you hate. This would make Facebook a less attractive for you and advertisers. Is Facebook Just Trying To Make More Money? According to Facebook the answer is NO. Their main reason for kicking off spammers and adding relevance score on ads for advertisers is to improve the overall experience of their users. Is Their An Advantage To Having A Facebook Fan-page? The answer is YES, when used correctly a fan-page advantages huge. Check out the video above to see why! Want to learn how the top network marketers in the world are building their business? As a bonus be sure to listen to live interview of several 7 figure earners in the industry on Network Marketing Nation! If you got value from What’s The Fastest Way To Get Targeted Visitors To My Website please comment below! Do you think working more on your business is the only way to earn more money? I used to think the same, but sadly I was mistaken. Below I am going to share with you 3 strategies you can implement to earn more while working less. When applied, you will be amazed at not only the amount of free time you have, but also how much more money you will be earning! The first step to earning more and working less is utilizing time. Create a schedule and block out times for certain activities. This will maximize your daily efficiency and help focus on the task at hand. During scheduled time blocks only focus on activities that move your business closer to profit-mode. These are referred to as revenue generating activities. Some examples of revenue generating activities are setting up ads, expanding campaigns, talking to customers, making sales calls, etc. Combining a schedule with revenue generating activities will make your business efficient. The more efficient your business is, the less you have to work! In order to earn more while working less, you have to know your numbers and hit them on a consistent basis. If you know it takes talking to 100 people a month to hit a certain number, what if you were able to talk to those 100 people in a week? You would work less and still hit your numbers/goals. Do you know how many people you have to talk to in order to make a sale? Or how many clicks you need in order to generate a lead? If not, the only way to find out is by you taking action and figuring out what those numbers are. Split-testing is an awesome way to test/know your numbers. Click HERE and I’ll show you how. In other words, if you’re consistent with your schedule, revenue generating activities, and communicating with leads/customers, you will begin to build a pipeline. Eventually, the pipeline will hit a Tipping Point and people that you spoke with months ago will take action and join your business or buy your products. This process will take your business to a point where you are literally waking up each and every day with new money in your inbox. Click HERE and I’ll dive deeper into the Tipping Point and how you can also wake up with money in your inbox! If you understand the Tipping Point you realize working extremely hard today will allow you to relax, earn more, and not be so stressed out tomorrow! If you schedule your day, know your numbers, and understand the tipping point, you will be on the fast track to earning more and working less! If you want more tips like this and Entrepreneur/Home Business training, click HERE. If you’d like to receive these blog posts via email and gain access to my TL + VO = D$ Money Formula that’s responsible for over 4.2 million dollars in revenue, click HERE now. If you got value from 3 Strategies To Earn More While Working Less In Your Home Business, please comment below! When building a business you want to do your best to attract winners. Winners are people that work hard and do all necessary steps to create success. Winners provide value and bring good morale to the team. Sometimes though, it’s hard to identify winners. Below you will learn 4 steps that will eliminate all Tire Kickers and only attract real winners to your business! 1: Are You A Tire Kicker? The term ‘Tire Kicker’ was created by car salesmen to describe customers that spend hours looking at cars with zero intent to buy. Tire Kickers are never satisfied with what is offered and indecisive when it comes to purchasing. They have a ‘get rich quick’ mentality and believe building a profitable business is going to be easy. Tire Kickers are always looking for something or someone to blame other than themselves. Be honest! If you’re a Tire Kicker, chances you’re attracting Tire Kickers too! Tire Kickers use keywords and phrases that make success sound like it’s going to be easy and anyone can do it. Some examples are: “Turn $10 into $100 for FREE”, “Fast Cash Now”, “Make $1 Million Dollars overnight”, or “Get Rich Quick” schemes. Using Tire Kicker keywords will attract the lazy and those looking for shortcuts. Avoid this at all costs. You want to work with winners- People who are willing to take all necessary steps to be successful. The best way to eliminate Tire Kickers is to do the work! Tire Kickers typically aren’t hard workers when it comes to consistency and taking their business to the next level because everything in their mind is “easy” and “free”. Simply do the work, be consistent, and show your business progressing. This will get rid of the lazy Tire Kickers that aren’t willing to work for success. Click HERE and I’ll show you the power of consistency plus give you some tips! Committing to success and growing a business is not easy. If you feel like you have invested in yourself, spent time learning a skill, and worked hard while doing it, don’t sell yourself short! Instead, value yourself in a way that people are willing to pay for your information. If you value yourself as a person who gives away all their time, knowledge, and value for free, you’re basically saying what you’re offering isn’t worth anything! This will attract Tire Kickers and we don’t want that. Identify if you’re a Tire Kicker, avoid Tire Kicker keywords, do the work, and set a value standard. These 4 steps will eliminate Tire Kickers and start to attract winners to your business! If you got value from 4 Steps To Eliminate Tire Kickers And Attract Winners, please comment below! Mark Cuban is an entrepreneur you are probably familiar with. He’s on the hit TV show Shark Tank, owns the NBA basketball team Dallas Mavericks, and is involved with many other entrepreneurial ventures. Recently, Entrepreneur Magazine published an article that gave a rare insider perspective of how Mark Cuban raises his family. It was such an awesome read that I had to share my 3 tips/takeaways from the article with you! The first major point Mark Cuban discusses is to teach your kids at a young age to not be materialistic. For someone who can buy pretty much anything in the world, this sounds a bit difficult. If you’re reading this and thinking to yourself “Do these rules apply if I’m not a billionaire or extremely wealthy?” Absolutely. Whether you have $1 million in the bank or $1 dollar, teaching your kids to not be materialistic is a good thing no matter what! Understanding how billionaires like Mark Cuban deal with materialistic views will prepare you for future success! Mark Cuban mentions that he’s not the type of dad that comes home from work with presents for his kids. Instead, if his kids want certain things, he makes them earn it. Mark makes his kids set up businesses and complete chores in order to receive what they want. He’s teaching them at a young age the true value of a dollar. Sometimes when people have a lot of money they think they need to hire maids, nannies, and people to basically do everything. Mark suggests doing the complete opposite and try to be as normal as possible. For example, Mark eats dinner every night with the family and on the weekends he’s the one hanging out and playing with his kids. Instilling a normal lifestyle for your kids keeps the family environment in tact and a key point I took to heart from Mark Cuban. In closing, teach your kids to not be materialistic, make your kids earn everything, and do your best to be normal as possible! These were great tips and I hope you can gain value from them as well. If you got value from 3 Tips To Help Raise Entrepreneurs And Not Brats From Billionaire Mark Cuban, please comment below!